Heavy clashes are ongoing in and near Aleppo city as pro-government forces are tightening the siege of its militant-controlled areas. 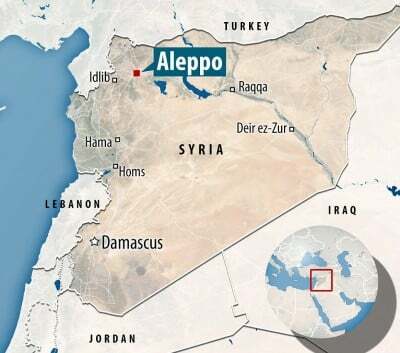 On July 27, the Fateh Halab militant group launched an advance on the Kurdish controlled neighborhood of Aleppo city, Sheikh Maqsood. The Fateh Halab advance was supported by heavy artillery fire from the militant-controlled neighborhoods of Bani Zaid and Sakan Shababi. However, jihadists were not able to break the Kurdish YPG defenses and Fateh Halab lost several fighters in the failed advance. Then, YPG units counter-attacked the militants in Youth Housing and seized it. This move contributed to the Syrian army’s operation aimed to encircle east of Aleppo. When the Kurds were clashing with militants in Youth Housing, the Syrian army advanced in the Bani Zeid neighborhood, engaging the jihadi forces assisting Fateh Halab’s operations against the Kurds. Later, the Kurdish YPG also engaged militants in the area from the direction of Sheikh Maqsood. By July 28, the Syrian army has captured a major part of the the district. If Bani Zeid is fully liberated, the Syrian army and the Kurdish YPG will need to consolidate their gains in west Aleppo, preparing for further clashes for the urban areas under the jihadi rule. Reports appeared on July 28 that Jaysh Al-Fateh is massively deploying fighters in the southern countryside of Aleppo province in order to launch an offensive at Al-Hadher. This operation is aimed to lift the pressure from the militants encircled by pro-government forces in Aleppo city. There are no confirmed reports about numbers of fighters and military equipment that will be used by the militant group. At least 44 people were killed and more than 170 others were wounded in a terrorist attack in the city of Qamishli on Wednesday. The ISIS terrorist group claimed responsibility for the attack. The US-backed Syrian Democratic Forces (SDF), supported by the US-led coalition, have been struggling to enter the Manbij city center. Recently, the SDF seized over 10000 ISIS intelligence documents after seizing the group’s command center in western Manbij.